Problem solved! 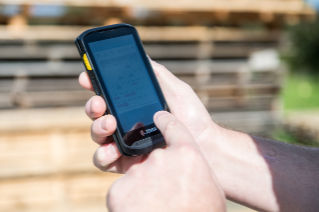 The new TC25 Rugged Smart Phone from Zebra addresses these short comings and more. And all at a price point that won't break the bank. Scanning - No scanning app required. The TC25 has a built-in scanner for quick and easy capture of 1D and 2D barcodes. Battery - No need to plug-in halfway through a shift. And for extended use, just snap-on the PowerPack extended battery. Durable - With IP65 rating, the TC25 is built to withstand drops, spills and temperature ranges from hot to cold. And with service contract options, you're covered for the life of the device. 4G Cellular - In addition to crystal clear voice, the TC25 also doubles as a walkie-talkie for instant voice connection and secure texting. Android - With features mirroring consumer devices, the TC25 is easy to use.